Mayfair Parkway has now replaced all “Open Gym” time slots with “Facility Booking” time slots. Additionally, Basketball is now able to Facility Book the Multi-Gym. This change will now allow more evening times for groups to play Pickleball, Badminton, Basketball, etc. All Facility Booking can be done through Front Desk at 905-475-0350. We offer tennis instruction by our certified teaching professionals for children from 4 -17, from red dot, to our teen elite class. There are limited spots, so don’t miss out, all classes were at capacity for Session #1. For more information, or to register, please email Blair at: easttennis@mayfairclubs.com. For more information or to register, please email Blair at: easttennis@mayfairclubs.com. Children ages 4 – 14 learn tennis from certified professionals. Participants have the option of full day, half day morning (both include lunch), or half day afternoon session. For more information or to register please email Ed at: parkwaytennis@mayfairclubs.com. We offer children ages 4 – 14 a terrific place to learn tennis, from our certified teaching professionals, in a fun and motivating environment. There are low camper-to-coach ratios, a daily recreational swim opportunity, lunch is included in the morning and full day sessions, plus the afternoon runs 1230 – 400 pm. For more information, or to register for any PA, March Break, or Summer Camp, please email Ed at: parkwaytennis@mayfairclubs.com. This class is meant for beginners looking at learning the game of squash. During these classes you will learn the rules, technique and strategy to begin playing matches. The idea is for you to attend classes until you are skilled enough to play in the Monday Night House League. Email parkwaysquash@mayfairclubs.com to register. This Doubles League is meant for A and B level doubles players. Sign up with Willie or Cole via email at parkwaysquash@mayfairclubs.com. Improve your game through a variety of drills and conditioning games focused on specific aspects of squash, including; length, volleys and short game. Not intended for beginners. Sign up with Willie or Cole via email at parkwaysquash@mayfairclubs.com. This class is meant for beginners looking at learning the game of doubles squash. During these classes you will learn the rules, technique and strategy to begin playing matches. The idea is for you to attend classes until you are skilled enough to play in the Monday Night House League. Sign up with Willie or Cole via email at parkwaysquash@mayfairclubs.com. You must sign up as a team in which your combined age is over 100. Depending on the teams, Willie and Cole will decide whether handicaps are needed. The cost is $40 per individual which will include a meal and drink ticket. Sign up with Willie or Cole via email at parkwaysquash@mayfairclubs.com. What better way to kick off the New Year than getting on track and working with a Personal Trainer? Mayfair Parkway Personal Trainers have the experience and skill set to help you reach whatever fitness goals you may have, big or small. Our diverse training team have many different areas of expertise and we have a trainer to fit your needs! To inquire or get started, contact Joseph Harwood, Fitness Manager at 905-475-0350 ext. 3252 or jharwood@mayfairclubs.com. This full body functional movement class will stretch, strengthen, and make you sweat! Heavily focused on the legs, glutes and core, alongside challenging coordination-based drills that will help improve sport-specific skills such as footwork for tennis. Get out of your comfort zone and try something new! Small Group Training schedule is available at mayfairclubs.com. To register or for any questions, please contact Joseph Harwood, Fitness Manager at 905-475-0350 ext. 3252 or jharwood@mayfairclubs.com. Challenge yourself to something new this year and beat those New Year’s Goals into submission. A small group setting for boxing will provide proper technique instruction, highly interactive drills, all while challenging your endurance, cardio and willpower! Small Group Training schedule is available at mayfairclubs.com. To register or for any questions, please contact Joseph Harwood, Fitness Manager at 905-475-0350 ext. 3252 or jharwood@mayfairclubs.com. Power, strength, balance, speed, agility, and flexibility are the hall marks of this class. It uses a circuit format to challenge class participants with a well-rounded and complete workout. Its lots of fun and will get results. See the full group exercise schedule at mayfairclubs.com. A class that is based on the TRX suspension training system and workout exercises performed on the turf. This class takes place in the group fitness room. The format is a circuit style class. See the full group exercise schedule at mayfairclubs.com. Come sweat it out to the rhythms of Hip Hop, Jazz, Dance, House, and Latin beats. This pulse pounding class will have you moving nonstop. See the full group exercise schedule at mayfairclubs.com. Winter is the perfect time to hone-in-on your aquatics skills and prepare for a summer of fun in the water! Parkway’s Winter Swim session kicked off on Monday January 7th and we have already begun accepting registrants for the New Year. Adult and Youth programs are readily available, ranging from pure beginner to even the most advanced Master swimmers. If you or your young ones are looking for a new form of fitness, rehabilitating an injury, or trying to improve your game off court – the pool should be your go-to this season. Private (1:1), Semi-Private (2:1), and Group (3:1) lessons are available. Please contact Kevin Power at parkwayaquatics@mayfairclubs.com. 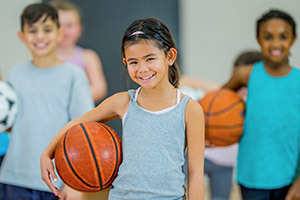 This 2019 season we have a ton of new and improved junior programs to keep your little ones engaged and active this winter – From Kids MMA, Sunshine Yoga, Group Basketball, and pick up sports; we have something for all ages and skill levels. A mixed martial arts inspired program designed for kids 7-12.Working with an instructor on Wednesday’s 5:30-6:30 participants focus on fundamentals to develop body awareness, coordination, conditioning, balance, strength and confidence. Spots still available. Register with: parkwayaquatics@mayfairclubs.com. Sunshine Kids yoga is centered around positivity and playfulness while focusing on balance and concentration through yoga poses. The fabulous Corrine Sunshine introduces participants to breath-work and meditation through stories, music and obstacle course. Register with: parkwayaquatics@mayfairclubs.com. Our programs offer a low teacher to student ratio, allowing players to quickly progress in their game. This program is designed for kids ages 4-12 to develop fundamental skills in shooting, dribbling, passing, ball handling, while building on athleticism and confidence. Classes are an hour in length and customized to meet the needs of each participant. Join us on Tuesday evenings or Saturday afternoons. Semi-Private and Private training also available. Register with: parkwayaquatics@mayfairclubs.com. Kids Sports in the Multi-Gym is two hours of structured sports play with an instructor designed for kids ages 4-12 at all skill levels. Our instructors guide players through organized activities like Basketball, Soccer, Hockey, Badminton and more! Juniors are welcome to participate once or even twice a week. Register with parkwayaquatics@mayfairclubs.com. The junior soccer program is tailored to the needs of each participant and will guide them through a progression in various sport related skills such as passing, shooting, footwork, speed and agility. Our low student to teacher ratio allows for participants to quickly work through a progression and fine tune their skills. Register with: parkwayaquatics@mayfairclubs.com. Mayfair Clubs P.A. Day Camp offers your child a place to learn a variety of sports from certified coaching professionals in a fun and motivating environment. Afternoons include recreational swimming, for a refreshing end to a fun-filled day. Contact Ed Flanigan to register at parkwaytennis@mayfairclubs.com or 905.475.0350 ext. 3521. Invite your friends and family to watch the game on the big screen! Win fun prizes, grab a bite to eat and meet other members, while enjoying drink specials – either a domestic tall boy or glass of house wine. Menu includes appetizers, chili & garlic toast, deli sandwiches and sliders – a different one served each quarter of the game. Sign up at the Front Desk.